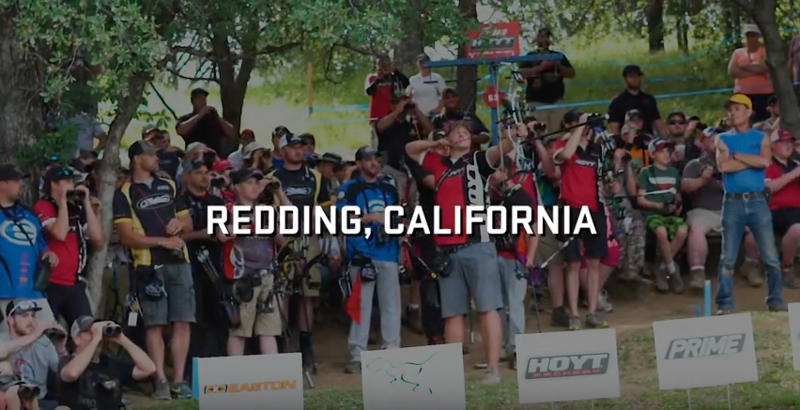 REDDING, CA April 7 2017- Easton Pro Staff shooter Steve Anderson knew he had no margin for error as it came down to the last arrow at the prestigious Redding Trail Shoot. Two opponents, gusty winds and an orange dot at 88 yards away, with a one arrow shoot-off to decide the winner. “Trust myself and trust my shot process in the wind” was the thought in Anderson’s mind as he drew his Easton X10 over the arrow rest. His shot landed just off the exact center of the dot, and his competitors sailed wide of the dot, earning Anderson his first Redding victory. 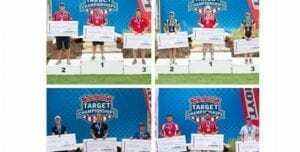 “Redding is the ultimate test of an archer and their equipment,” said Anderson, who so far this season, has amassed an impressive seven consecutive podium places at major events in 2017. Steve’s wife Linda took second in the women’s pro category. “I guess we can say that Redding is a family friendly event! It sure was friendly to us!” Anderson joked. 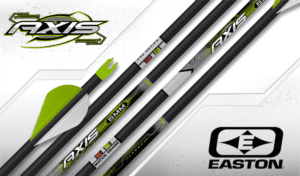 Since their introduction in 1996, X10 shafts have been used to win every Olympic title, and more World and National championship titles and World Records, than all other arrows combined.